Our story, from our very first customer and the custom realisation, to scaling our business model and expertly crafting bespoke jewellery that symbolises the love stories of their wearers and creators. 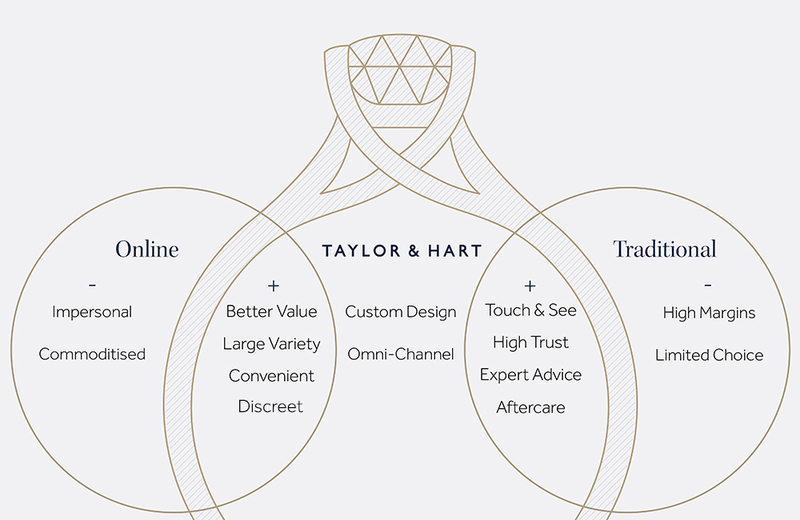 Taylor & Hart was founded in 2013 by our CEO, Nikolay, and his close friends, David Sutton and Davide Chiminello. 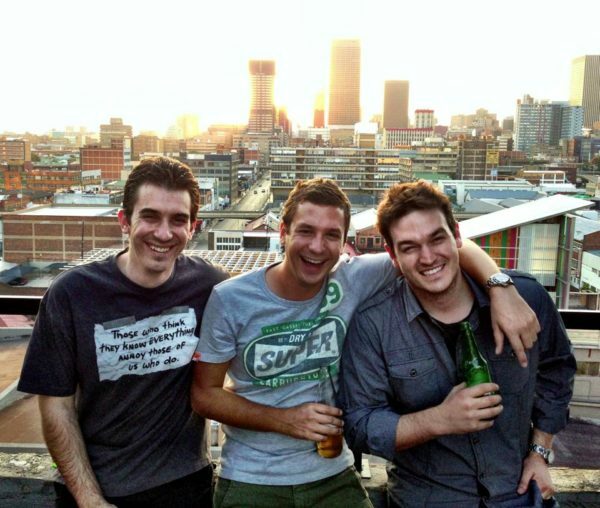 The trio were best friends from high school in South Africa, and got together again when David flew from South Africa to Europe to discuss his “big business idea” to sell diamond rings online with Nikolay. 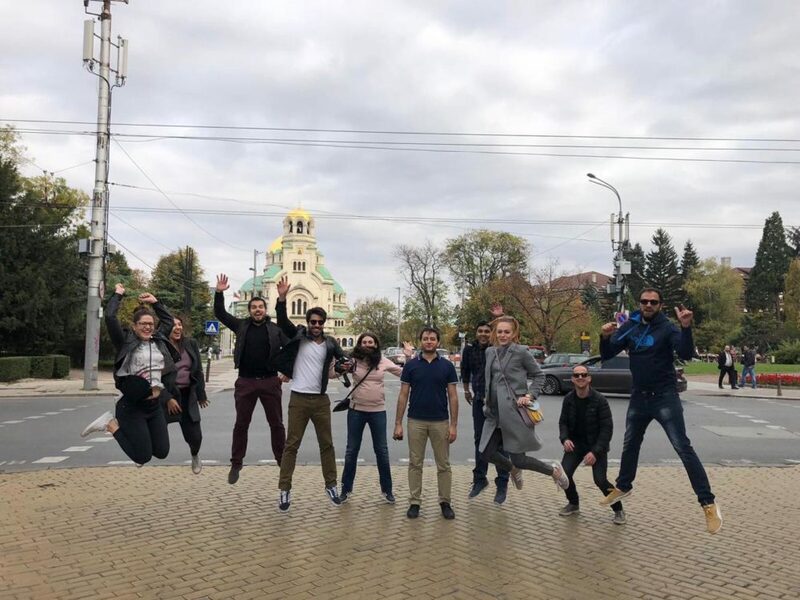 David’s background was in the wholesale diamond trade and he had built relationships throughout the supply chain, cutting out all of the middlemen and going straight to the polishing firms in India, while Nikolay had experience in e-commerce and digital marketing projects. Together, they thought they could merge their skills and experience to sell diamonds and diamond jewellery online. We completely underestimated how difficult it would be. Without any external investors, the three founders focussed on a wholesale diamond business at first. They continued the diamond trading business and used the profits from that to finance their new fledgling retail business. The first funds were put towards a website with a development company, but barely touched the surface of what was needed in terms of the technology and systems required. 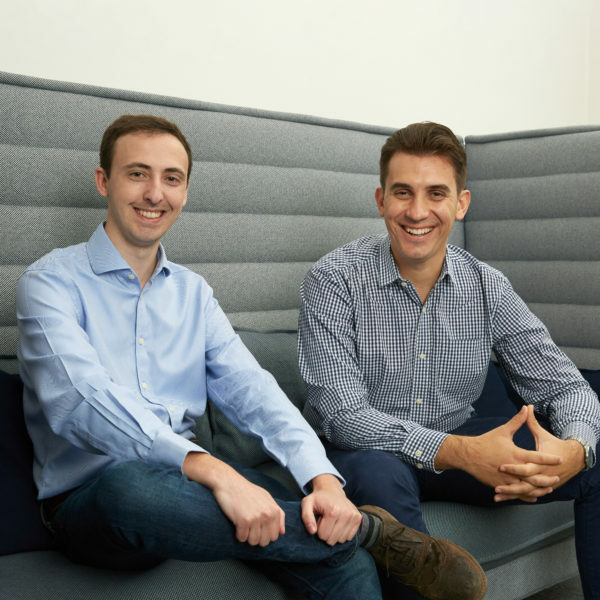 During that time, they paid themselves almost no salaries and didn’t know how quickly they’d be able to get to market and grow the business. The one thing that was certain was that they had a small window of opportunity to make this business a success. They decided to grow the team to include their fourth co-founder Shane Hunt, and Emma Carter, our longest serving design consultant. 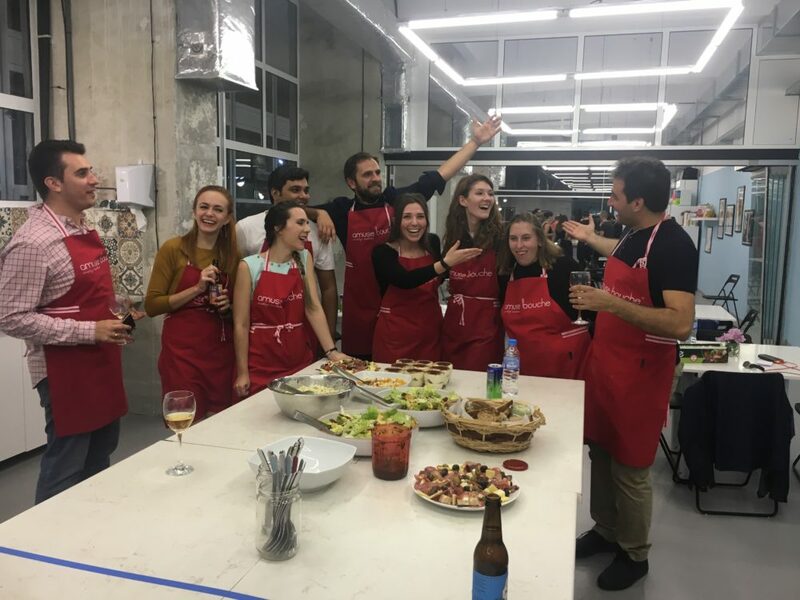 Together, the small team moved from Manchester to London, closing a chapter on student life and beginning a new, entrepreneurial adventure. In October 2013, rarepink.com was launched. To the outside observer, it probably looked much like most other engagement ring websites. 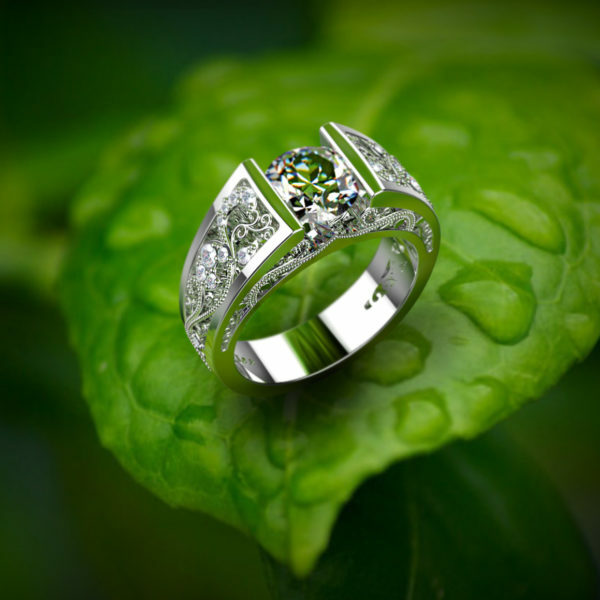 It had rings, it had diamonds, and you could add diamonds to rings and place your order. As a brand, we weren’t honestly improving on existing offerings. We weren’t giving customers a reason to choose us over other companies. We weren’t really providing the amazing experience we had imagined. It was around this time that we were fortunate to have our first Rare Pink bespoke design customer. His name was Piers, and he knew Nikolay through friends at university. Piers reached out to ask if we’d be able to help him create a custom-designed engagement ring. Piers’ girlfriend at the time, now wife, Jenny, was studying in the field of nanoscience and he wanted something that would be personal to their story, but representative of her (and her attention to detail at the ‘nano-level’). We went through many ideas together and once he’d settled on a design, the next step was for us to make it into a reality. While we had some great contacts in the diamond space, we didn’t have a network surrounding ring design or manufacturing at the time. The jewellery industry is quite notorious for being closed and not very welcoming to newcomers. After much searching, we found some great manufacturers who brought Piers’ design to life. The design had beautiful floral, vine patterns engraved on the side and the diamond was set into what we call a tension setting, so that most of it was visible from every angle. Piers proposed to Jenny in the Amazon rainforest and she said yes! Jenny came back to us, sharing that she was touched that Piers had spent the time and emotional energy coming up with this creative idea. It meant so much to her. 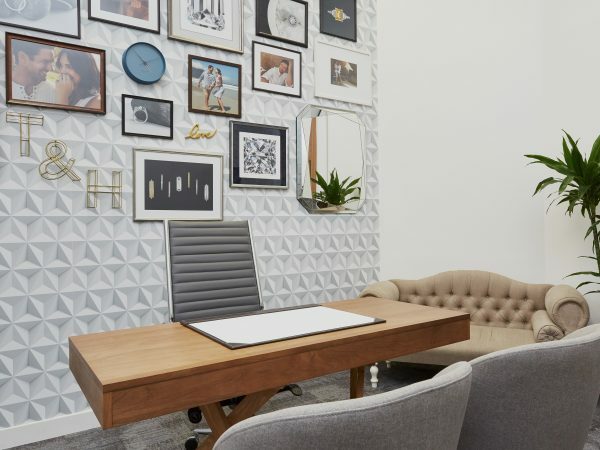 This was our first insight into the huge impact of a custom design experience and we realised that this was the new direction we wanted to follow. It had allowed Piers to tell their story. We wanted to tell other couples’ stories too. Fast forward a few months, the website was geared up to deal with bespoke engagement ring enquiries and we were crafting all kinds of wonderful rings! We knew that if we were really going to make a go of it, we had to re-invent and revolutionise the Rare Pink brand and offering. Sales were growing and we’d successfully raised investment from angel investors and through crowdfunding. Watch the video below to see our first ever fundraising pitch. In 2016, we went through an extensive branding exercise where we re-branded to become Taylor & Hart. With this brand evolution, we focussed on bringing jewellery back to its roots, emphasising the storytelling behind jewellery creation. The jewellery people wear is often associated with personal or shared stories. We wanted to enable more people to have access to that by keeping the price point low and by making it fun and accessible. That’s what our brand became. The ‘Taylor’ in Taylor & Hart pays tribute to our bespoke offering, a personal service that’s quintessentially British. The way this tailoring experience became so heavily associated with Savile Row and the tailoring of suits is something that we strongly felt needed covering in the jewellery sector. We then combined that with ‘Hart’, which is the reason why we’re ‘Taylor’. This play on the words “tailor” and “heart” are our ways of saying, the reason why we offer custom designs tailored to your story is because these stories often come deep from the heart. 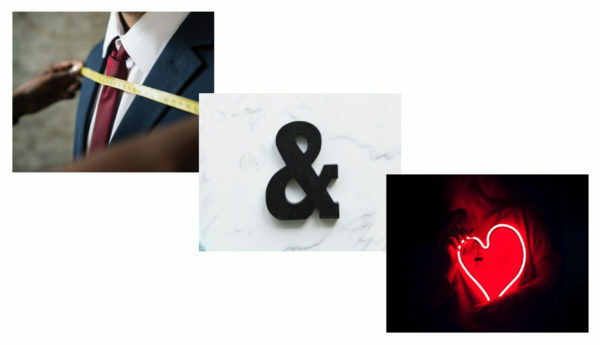 The ampersand is the symbol of connection – the connection between tailoring and the stories, but also the connection between two people throughout all of life’s milestones. With our solidified brand story, being an online jeweller was always going to be challenging because no matter how appealing our offering, it’s difficult to trust pictures on the internet alone. This personal service is what people expect from a traditional jeweller and that’s how we’ve evolved the business into, what we call, a ‘clicks and bricks’ business model. We’re combining the best of online and traditional jewellery stores. Online offers the convenience of being able to shop from your mobile, from work or on the move as well as the privacy of not being harassed by a salesperson while you’re just browsing. At the same time, we offer the traditional aspects of a jeweller by offering face-to-face interaction, the ability to try on rings and learn about them as well as receiving a lifetime aftercare service – we’d like to think we’re creating a “jeweller for life” relationship with our clients. That’s why our London, and most recently New York, showrooms are so important for both us, and our customers. It gives us a chance to meet our customers, but also gives them a chance to develop trust in the brand. So the journey of our brand started as pure excitement about giving customers better value for money by taking away the costs associated with a retail store, but has since evolved to be so much more. 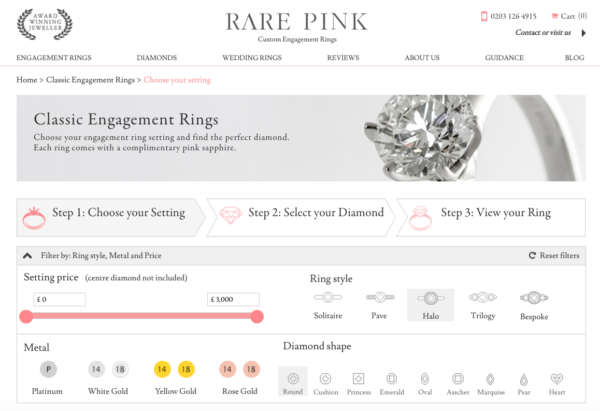 What differentiates us from other online engagement ring brands is that we’re offering customers a far better experience than even a store can offer. 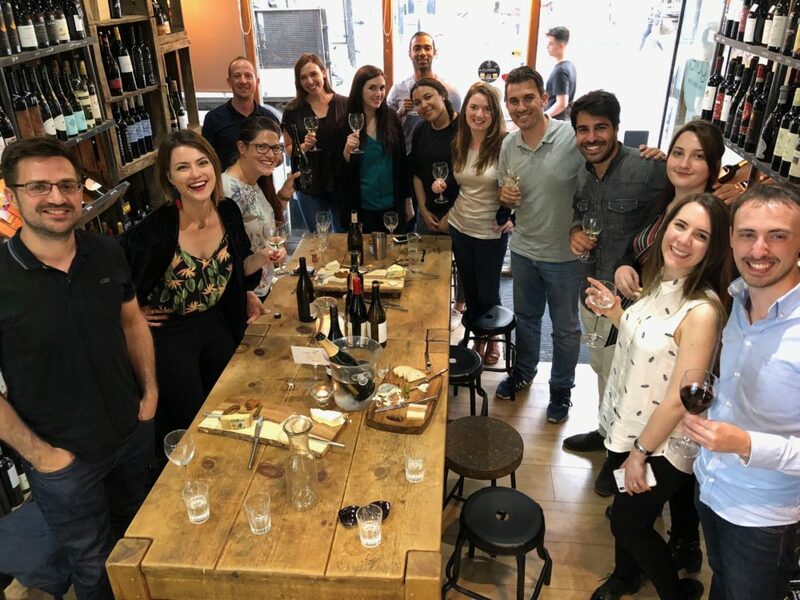 It’s the combination of this personal design service, that enables people to capture their stories through products, and the value benefits of e-commerce shopping that makes us stand out. Everything we’ve been through and everything we continue to work towards is testament to the long hours, talent and perseverance of the Taylor & Hart team. 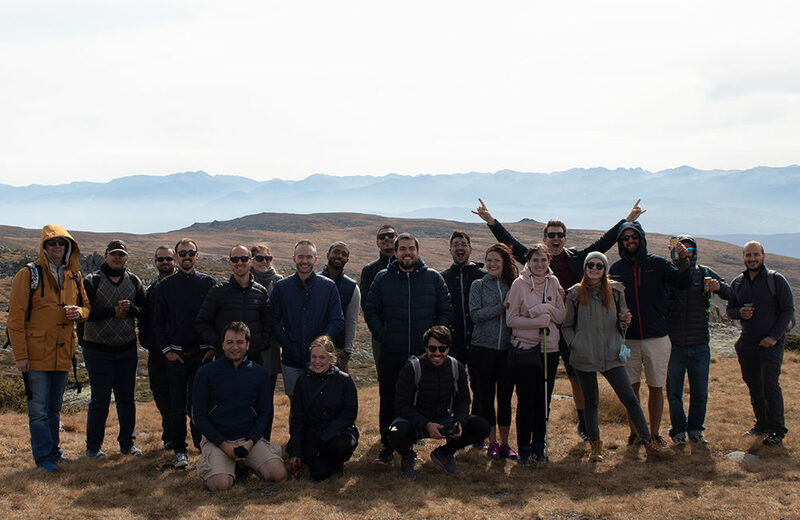 We’ve always believed that great companies are all about great people, and so, our story is one of how, thanks to the many named and unnamed colleagues, friends and family, we pulled together to build a business we’re all proud to be a part of. As with all companies, people have come and gone along the way, and all have made a mark. 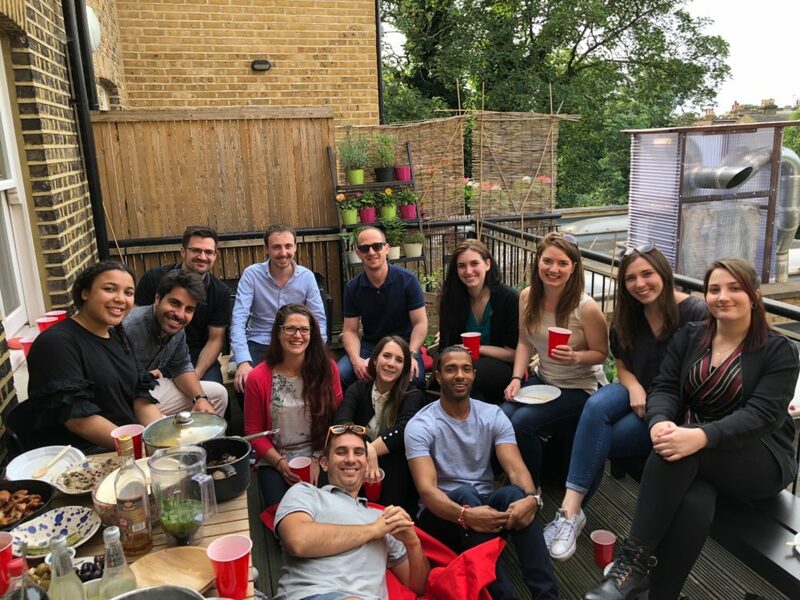 Today, we’re 28 strong with colleagues in London, Sofia, New York and Mumbai, all embodying one of our core values, “teamwork makes the dream work”. There’s so many pieces that can be gifted and worn that hold a sentimental memory, or emotion. We want to be those storytellers and that’s why we decided our slogan would be “Storytellers at heart”. As for our mission, it’s to become your trusted jeweller, for every important moment in your life. We hope you choose us to be there with you through the jewellery we design and craft for you and your loved ones, as you live and tell your own unique and wonderful stories in the years to come.